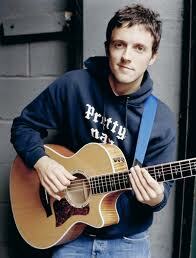 Jason Thomas Mraz (born June 23, 1977) is an American singer-songwriter of Czech descent. He first came to prominence on the San Diego coffee house scene in 2000. His international breakthrough came with the release of the single "I'm Yours" in 2008. Before watching the video clip, familiarize yourself with the following entries. This will help you understand the clip better. 10. filler/ filler word– words that do not really mean anything, often used in everyday speech when you need to pause, or when you’re thinking of what to say next, or as a habit. Examples include: “Umm”, “Uh”, “Just”, “Yeah”, “You know what I’m saying?”, “You know what I mean?”…etc. When speaking/writing in an informal setting, an English speaker may choose more informal words/ expressions (e.g. dadvs. father, kid vs. child, etc. ), and use contractions such as don't. The following sentences/ phrases from the clip are relatively informal. Rewrite the sentences and change the words in bold to a more formal style. The first sentence has been done for you as an example. Familiarize yourself with the following entries before watching the video. Jason Mras’s I’m yours is a complicated song covering a lot of different ideas and feelings with no clear audience in mind. For the sake of this exercise, let us assume that it is about Jason fancying a girl. Listen to the song on http://www.youtube.com/watch?v=EkHTsc9PU2A or http://www.youtube.com/watch?v=irSklXqsXBo and answer the following questions. 6. Parts of the song are explained/paraphrased below as a-f, some parts of the song have been omitted. Rearrange the letters in their order of appearance by listening to the song. Give yourself a couple of moments to familiarize yourself with the different parts. Complete the following sentences with the words provided in the box below. Use the appropriate form of the words to make your choice grammatically correct. We went up to Borlänge in mid June of 2007 to the Peace and Love Festival up in Sweden where the sun barely goes down at that time of year. And we arrive into this place, 3 hours north of Stockholm, middle of nowhere. And the streets were deserted; it was this festival spread all over town. And we thought, “What are we doing here?” You know, like this is absurd – we’ve never been to Scandinavia…you know…well this is…Alright, you know, we’ll play it, you know, and see what happens. And right before we went on, all of a sudden, the street in front of us, this long dusty road in what looked like a ghost town, just *whooooosh*, filled up with people, and they all seemed very, genuinely excited to see us. You know? We’re like, you know? This is crazy, you know? I don’t know…I didn’t even know that we put out records up there, you know? But they seem to know the words, you know? But then when we played I’m Yours, the place went even crazier. I could look down this street, what would look like as far as my eyes can see, people coming out of buildings, people coming from around corners, and every which way. Singing and clapping, and just absolutely freaked us out. Like, we couldn’t shake the smiles off of our faces. But we were desperately trying to sing the song and continue. And it was just…Mental! And uh… But yeah, I had no idea, I had no idea what to expect and the next day in Stockholm, it was almost like after that moment we then began to hear and see it everywhere. And realize that I’m Yours has been sort of circulating around Sweden, and around this part of the world for quite some time, because we shared a cab with someone, couple of days later. And, you know, they asked us what we were doing in town. I told them who we were. And they were like, “Oh my gosh! I’m Yours! It’s great!” This is, this is bonkers. You know? So it was a pretty neat experience. You know? And I think that’s what…it was that moment, that I was like, “Man! I’ve got to make sure that I’m Yours is on the next record.” You know? Because, I wasn’t sure if it was even going to make it on a record because it had its own life and it just existed as it was. But I thought, no…you got to, you got to make it available and, I thought it’d be fun too, to have brother and sister songs to I’m Yours. Really I’m Yours, the feeling of I’m Yours sort of became the foundation for the record. I’m Yours just expresses so much about happiness and love. I just want to make sure that the rest of the songs on the album, you know, are as groovy and simple and spread as powerful a message as I’m Yours. I’m Yours was a big surprise, cause that song was just a… it was like a B side to one of the singles from years ago. And of course I play it at a lot of shows, so it’s out there. It had never been released properly, and that was the most popular song over in Europe, for us. And that was what people really wanted to hear, they were coming up to sing along with it, and it just took us totally by surprise, you know. Especially up in Scandinavia, where we found out later that it had been released. Someone just took it, released it along with its own karaoke B side. It’s just a special little tune that I wrote in my bed room, that I really never gave much credit to, until I started playing it live. Cheryl Van Tricht, yeah, beat-box champion. Dutch female beat box champion. She approached me on the walk and she was like, “Hey! I’m Cheryl, I’m the Dutch beat-box champion.” Like she just said it. And I’m like, “Oh. Go for it.” And she’s like, “ *drum sounds* I was like, “Man, I bet that sounds amazing on the microphone.” And she’s like, “It does!” I was like, “A lot of songs, really do help out when I have a groove,” and I didn’t have Toca with me, so I was like, “Cheryl, do you want to play the jazz festival with me tomorrow?” She said, “Absolutely.” She didn’t care, man. She just walked right on stage, and like, “hit it, Cheryl.” *drums sounds* …just going for it, and just set into this little groove. It was just amazing, you know? Again, so spontaneous.